Introducing the Dr. Seuss Collection! 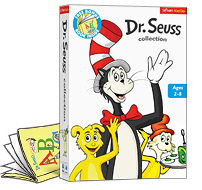 This new Dr. Seuss Collection is filled with games and clickable surprises from three wonderful Dr. Seuss classics that will have you laughing along with your kids as they help Sam-I-am match oddly colored foods, keep the Cat in the Hat balanced on that ball with a fish and a rake, and sing along with Izzy and Ichabod as they learn their ABC's. FREE BONUS BOOK! 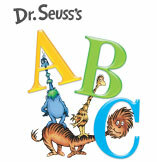 Includes a copy of Dr. Seuss's ABC board book! The Cat in the Hat literally changed the way kids learned to read when it was first published in 1957, with a cat that transforms a cold, rainy afternoon into a day of madcap fun. This delightful animated clickable book and games include hidden surprises on every page, funny faces to draw, puzzles to solve and a Cat in the Hat balancing game. For Ages 2-8. Green Eggs and Ham features three amazing kids educational games that will keep your kids entertained for hours while building their vocabulary as well as rhyming and matching skills. Also includes a fully animated TV movie style adaptation of the most popular Dr. Seuss book of them all, full of clickable animated surprises on every page. For Ages 2-8. 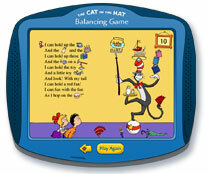 There is no better, more entertaining way for children to learn their ABC's than with this lyrical Dr. Seuss classic, which features dozens of clickable animated surprises for each letter, a "KidVideo" area with fourteen full-length interactive kids' music videos, and a sing-a-long with Ichabod and Izzy. For Ages 2-6. 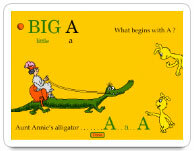 Click to try the letter "A"! System: Mac OS X 10.5 or later, including OS X 10.9 "Mavericks"